I recently got back from the Melbourne Little Wars show all fired up for our event and have started updating various websites and whatnot - it's a one man band though and I don't have vast amounts of time to keep everything up to date. But stick with me and I promise there will be movement in that space. We're less than a month to go until the event and it's going to be pretty tight in the hall with the traders and games on offer. I've invited a few others, but haven't heard back from them. But we're full now anyway, so it doesn't matter. Plus I've arranged for the event to be better catered than last year, with tea. coffee and hot food available in the hall and I'm exploring the option of having a gaming club run the Sausage Sizzle this year. The Plastic Modellers will be back again with more amazing models to show, as well as the Adelaide Regiment re-enactment group. I have heard a rumour there may be some cybermen coming, but I can't say for certain yet. The Bring and Buy table will be back though with the redoubtable Ishtar in charge once again, so spend a bit of time over the next few weeks sorting out your surplus lead and plastic for cash redemption. Approximately 25 games will be in the hall on the day. Last edited by Captain Darling on Fri Jul 17, 2015 8:56 am, edited 1 time in total. Re: Little Wars Adelaide 11/7/2015 - Update! Typical - I was returning from SA when the Vic little wars was on, and now I am in Vic, I wont be able to get to SA for the Adelaide one! You were in Adelaide Dropbear you should have let me know there would have been a beer to two on the cards! Well, not exactly Adelaide - I went through it twice - once on the way to Cultana and once on the way back. Excellent news, catching up next week with the club reps to confirm games. 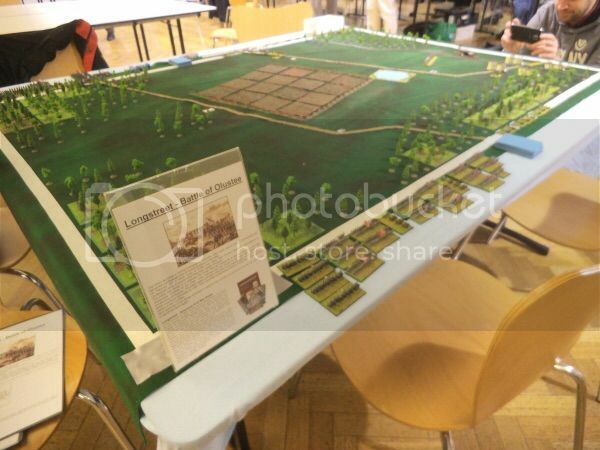 The biggie looks like Waterloo in 54mm, 8+ tables in the middle of the venue. Massive game. Plus 6mm ACW and lots of other goodies. 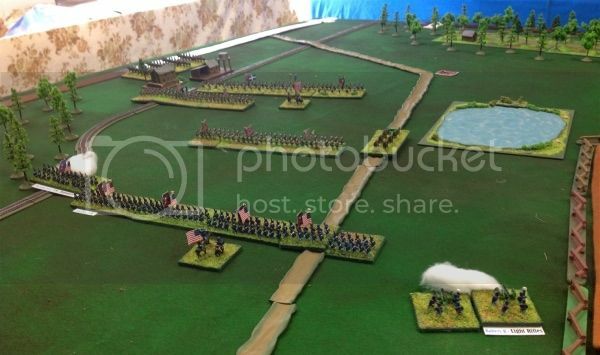 Yeah the meetings on the 18th not sure I'll be able to make it, a friend is thinking of getting out the SPI classic game Waterloo (from the Napoleons last Battles Quad) and the plan is to play it while the movie Waterloo plays as a back drop (that movie is best seen while not actually watching from memory ). I wondefr if any others have similar 'loser' plans for that night? I suggested to Alan to move the venue to the 'Wellington Pub' in North Adelaide if its on the 18th. 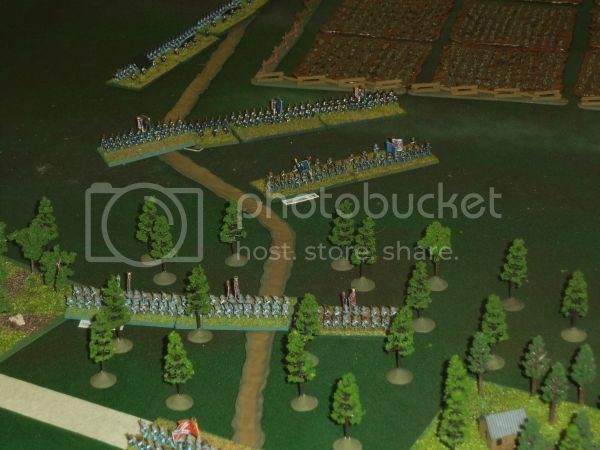 I notice there will also be a second day of Gettysburg game being held on the day also in 6mm combined that'll mean close to 10,000 6mm ACW figures in the same room. Anyone from the board planning on attending? great game that Darling, i can vouch that it plays out very well. So beside Straylight and myself anyone else who frequents the Rum Corps heading to Little Wars Adelaide this Saturday? Good Man Barry! Are you associated with any of the games or coming along to have fun! Jacksarge if you book a ferry ticket and start driving now you'll make it! I will be there selling my Tufts. Fortunately my wife has volunteered to help out so I will be free to wander around and have a look and hopefully a chat to a few familiar faces. Ah right tuft Barry cool, I hope you sell heaps on the day...it'll be warm and dry in the hall! I would like to thank Alan for the effort he put into organising and running the day, and also thanks to the others who assisted him. I ran a game on the day after being a punter last year not sure which was better fun. 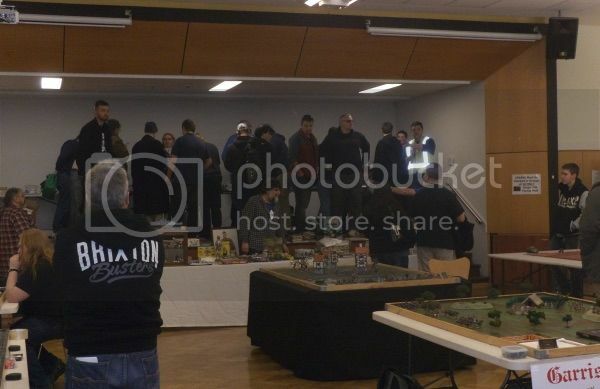 I did find more people were interested in asking about rules, figures and terrain I had set up than actually playing, but I was the same last year I suppose, I played a couple of the quick games and spent more time looking, learning and shopping. I still have some more pictures to sort through of the day so I may be able to adds ome more here. I hope others will post up some pictures! The Union right also on turn 5 the 7th New Hampshire rgt in line with the 47th New York rgt moving up behind them face off with the 19th Georgia rgt, the 32nd Georgia rgt moving up to the front from the woods! 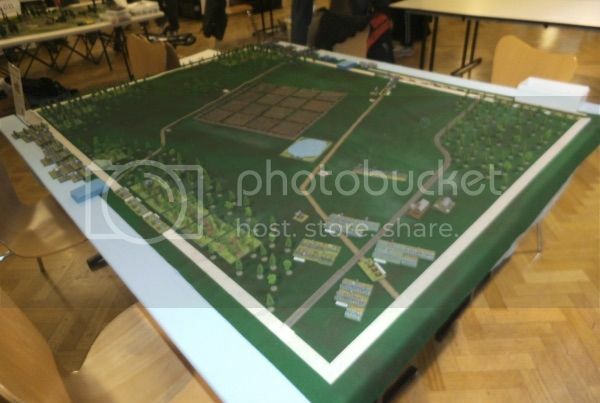 Anyone seen any more pictures from LWA 2015 posted up on thee net anywhere? I saw lots of pictures being taken on the day and I've searched but got nothing. There's not even any pics up on the Little Wars site. Here's a Facebook link with lots of pictures of the show! This whole thread has moistened the eyes of this ex-pat Croweater, especially as it was held at Goodwood - I was a coach at Forestville (basketball) stadium when it was located under the tramline/ railway line intersection (before it burnt down) and lived last at Plympton before making my exodus eastwards. 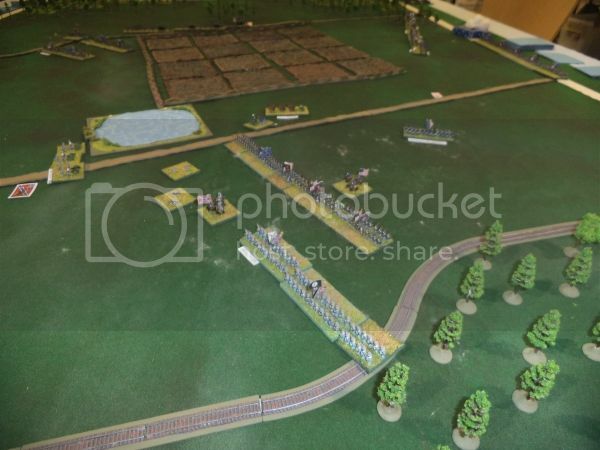 I was also a very long term member of the old SAHWS (South Australian Historical Wargaming Society - although my first campaign there was set in the Lord of the Rings) before it, like Forestville Stadium, was reduced to smoke and memories. I'll have to get a demo game together in the next year or so as a pathetically transparent excuse to return to the cradle of antipodean civilisation, even for a single weekend.